It had been a good 5-6 years since I was last in Bangkok (I am not counting my 2days BKK trip last year as a trip cause I didn’t get to do much due to the curfew that was enforced at that time). Anyway, I had the opportunity to head to Bangkok twice in May and I was pretty glad I did. I finally got to satisfy all my thai food and cafe hopping cravings. YAY! Just thought I should share my Bangkok itinerary since there were many requests. This entry was posted in bangkok, bangkok food guide, cafehopping, cafes in bangkok, coffee, desserts, food guide, food reviews, travel and tagged bangkok, bangkok food guide, bangkok street food, bangkok travel, cafehopping, cafes, cafes in bangkok, ekkamai, sukhumvit soi 38, thonglor, travel, travelogue. It has been almost 3 months since I am back from Perth and I finally found time to blog about my cafe hopping experience there. Those around me often comment that I’m always in Australia..and there might be a tinge of truth to it.. Anyway this will serve as a good brunch(or cafes) guide for those are heading Perth. For the cafes that I am going to introduce to you, I need to put out a disclaimer and straighten any expectations. Food and coffee in Perth cannot be compared to those in Melbourne or even Sydney for sure but they are the best I’ve had in Perth. Special thanks to my dear friends who are made to go to 2-3 cafes a day over our 10 day vacation..just so that I can produce this guide. Well, good calories are made to be shared but still..thank you my friends for following my strict food schedule whenever we’re overseas. This entry was posted in cafehopping, food guide, perth, travel and tagged austrialia, breakfast, brunch, cafehopping, cafes, cafes in perth, coffee, desserts, food guide, perth food guide, perth travel, travel, travelogue. This entry was posted in cafehopping, cafes in melbourne, coffee, me, melbourne, travel and tagged australia, best coffee in melbourne, cafes, coffee, melbourne, melbourne travel, patricia coffee brewers, queen victoria market, travel, travelogue. In conclusion of the remaining of my 2012, i baked a lot, travelled to chiangmai & seoul, spent my first white xmas in my life, cafe-hopping in seoul, locked our love at seoul tower, challenged myself with eating live octopus, spent the leftover of 2012 with my loves & of course started a online bakery called bakinginthewoods. 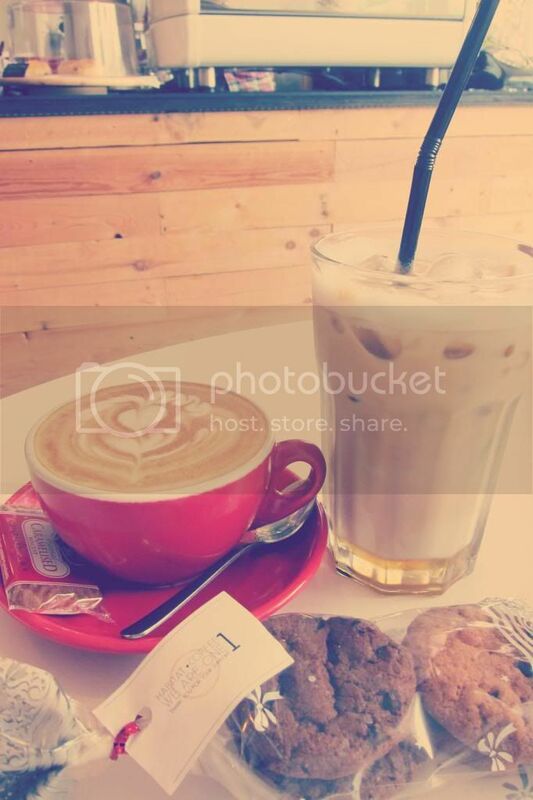 This entry was posted in me and tagged cafes, jeju, life, love, seoul, thailand, travel. 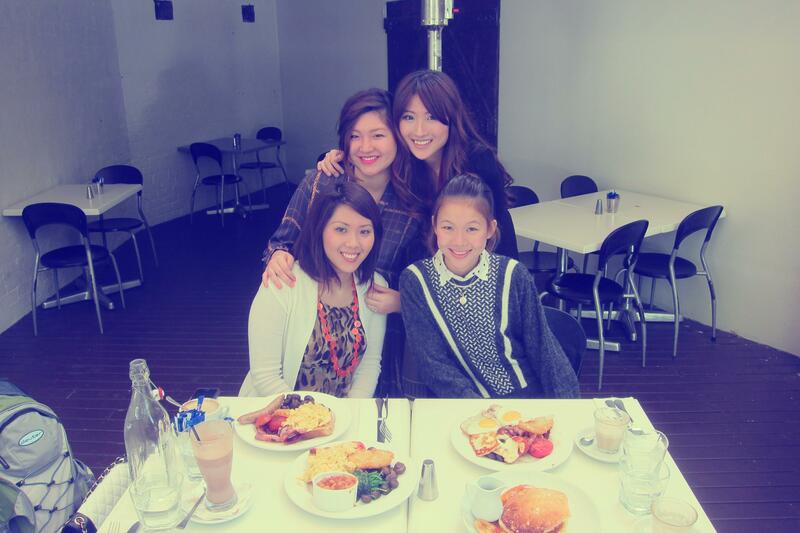 This entry was posted in cafehopping, cafes in sydney, food reviews, sydney, travel and tagged australia, breakfast, brunch, cafe XXII, cafes, cafes in sydney, sydney, travel, travelogue. After hearing so much about Bourke Street Bakery, when i know i was going to Sydney, the first thing that came to my mind was “I NEED TO GO BOURKE STREET BAKERY IN SYDNEY!”. Therefore, my first stop in Sydney was that. I really love Sydney a lot, not so sure about the people but the place is really beautiful. The street, houses and shops are so LONDON. I don’t know how to describe to you guys how beautiful Sydney is, so i shall let the pictures do the talking. Getting around in Sydney wasn’t easy for us. Sydney, just the CBD alone can kill all of our brain cells. The routes, trains, buses are quite complex, maybe because Sydney itself is really big unlike Singapore. There’s no 1 bus that u can get straight to your destination. Taking 2 buses to a place and you should consider yourself lucky. I haven’t even calculate the amount of walking we did. CRAZY. Despite changing so many buses, there’s still a significant amount of walking to be done & lots of map reading. I think i have promoted from a map noob to a map pro. Anyway I forgot how many buses we took and how long we walked (all i remembered was I WALKED ALOT) but we finally reached or found our destination after like 2 hours from our apartment? We were famished. On the table: croissant, chocolate tart & mushroom quiche. croissant wasn’t that fresh anymore but still not so bad, chocolate tart was good (very rich!) & quiche wasn’t that salty enough for my liking. If only the quiche got more cheese in it & it will be PERFECTO. 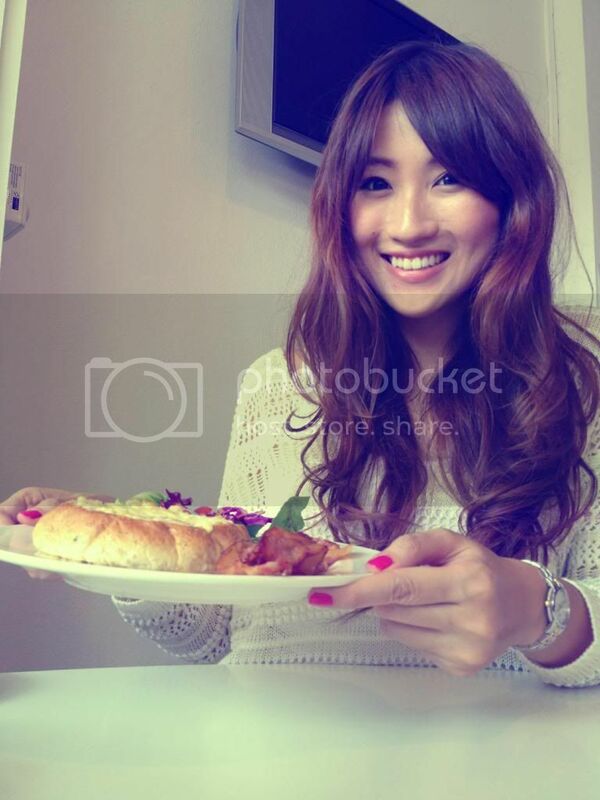 Happy girl who finally got to try the legendary Bourke Street Bakery! There’s 2 extreme responses to the lemon cream tart. I thought this carrot cake was pretty good. The cake was just moist enough & spices in the cake wasn’t overwhelming. Overall it was a pleasant visit to Bourke Street Bakery. Couldn’t find anything much to complain about because the beautiful scenery, afternoon mild sun ray, weather & companions had covered up the imperfections. 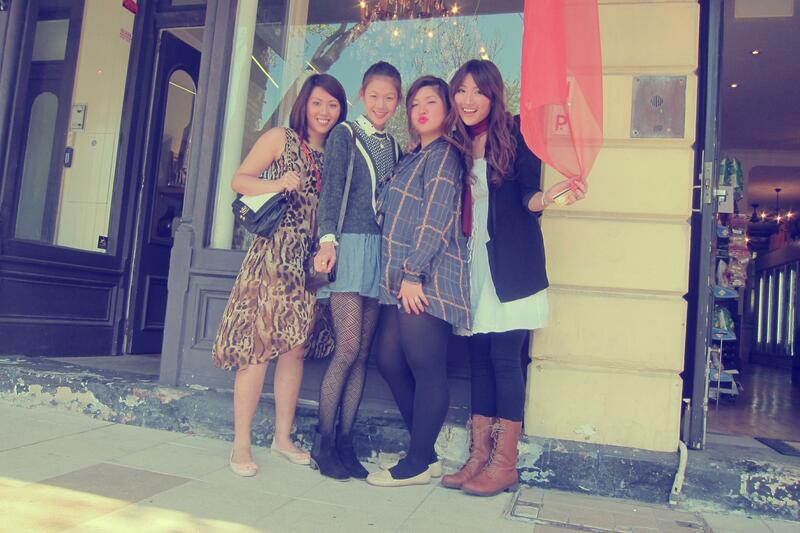 I miss cafe hopping in Sydney already! 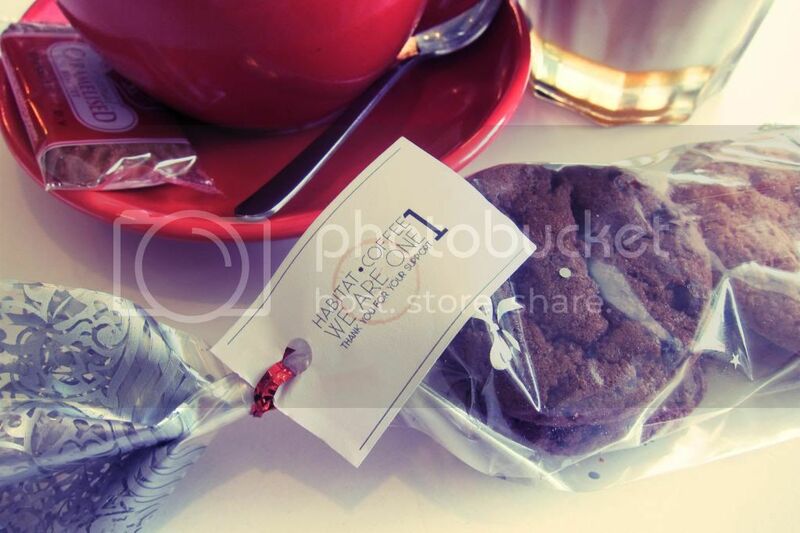 This entry was posted in cafehopping, cafes in sydney, desserts, food reviews, sydney, travel and tagged australia, bakes, bourke street bakery, cafes, cafes in sydney, cakes, chocolate, coffee, nsw, sydney, tarts, travel, travelogue. Time flies, as cheesy as it sounds, but that’s the truth. 1 year ago, i was working with Ryan, boss of Habitat Coffee, when the cafe just started off. A new cafe started off & a new friendship found. I could still remember those days when we worked till 11pm, so tiring yet happy. So happy that Ryan had successfully opened his cafe, things doing well for him & have inspired me to work towards my dream cafe. my favorite hazelnut latte, hot & cold version. 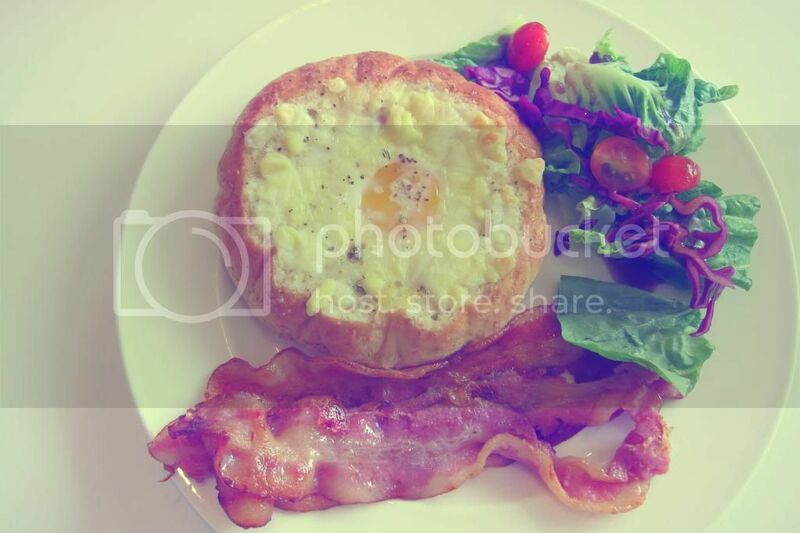 This entry was posted in cafehopping, coffee, food guide, food reviews, me, sgcafes, sgfood and tagged birthday, brunch, cafes, coffee, favourites, habitat coffee.